Motor Type Permanent magnet, double ball bearing armature. Electronic speed control built into rear endball. JABSCO's V-FLO variable flow, constant pressure water pumps now feature the revolutionary new DiMOND technology designed to automatically diagnose and monitor all aspects of your pump?s performance to prevent system failure. DiMOND incorporates 10 specific modules designed to Monitor, Protect and Prevent - allowing you to evaluate and respond to the problem before the pump or your boat are damaged. The DiMOND technology automatically runs diagnostics to detect common failures such as run dry,plumbing leaks, over current, under current, low voltage and over voltage. If the diagnostic discovers a problem, the pump will stop, identify the root cause, and provide the data you need to solve the problem. V-FLO is powered by a new variable speed drive that delivers the exact amount of water flow neededto perform a variety of onboard delivery tasks. 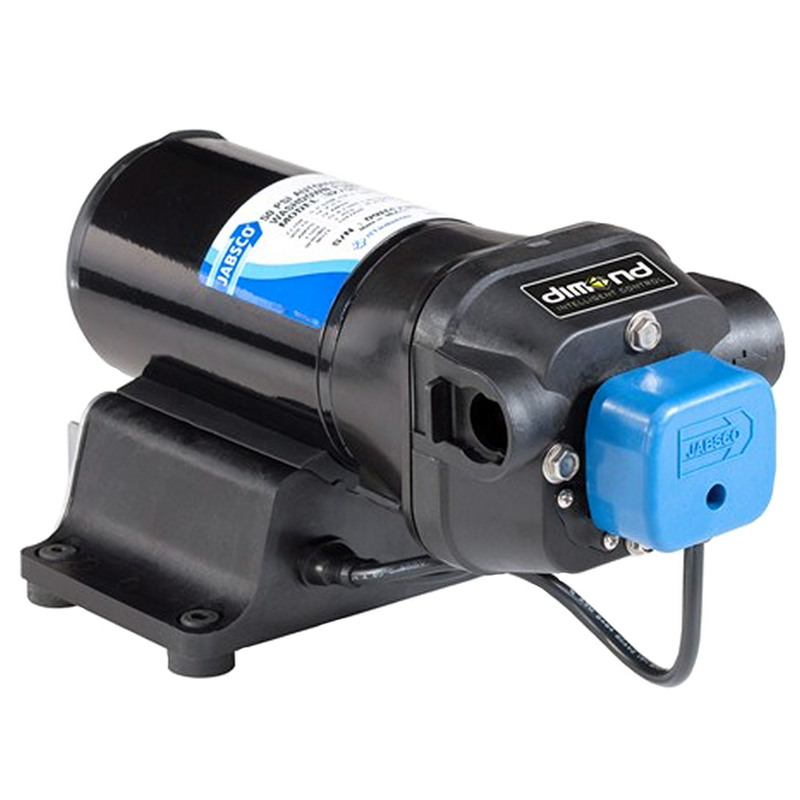 Since the pump is constantly monitoring water flow and electrical current, it automatically adjusts itself as needed, ensuring that your systems are operating at peak efficiency. WARNING: This product can expose you to chemicals including NICKEL (METALLIC) which is known to the State of California to cause cancer. For more information go to P65Warnings.ca.gov.